Tamrock L400/L550 pneumatic feeds. We have a selection for L400 feeds for rental. The L440/550 is a very reliable robust pneumatic drifter requiring very little serving making it ideal for working in tough conditions. These feeds can be supplied with a mounting options to fit them to diggers, telehandlers scaffolds etc. Various lengths of feed available up to 3m travel. Steels and Rods are also available. Guarding options can be made to suit most applications. Holman DTH pneumatic feed set up for 1.5m tubes with controls. This feed can be stripped down into its component parts and then be reassembled easily. 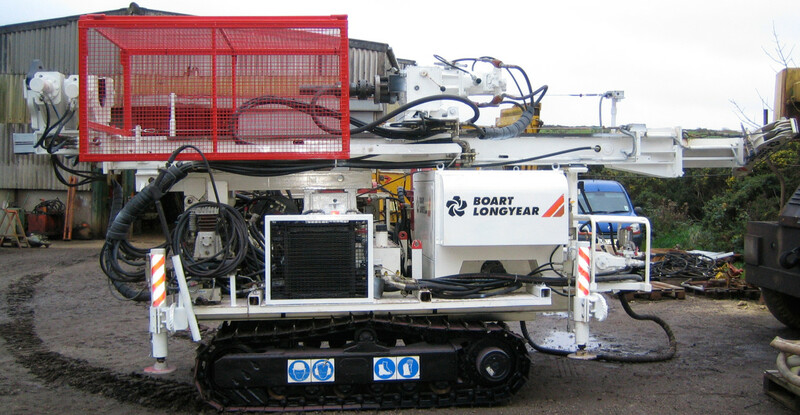 Making it ideal for drilling in restricted areas i.e underground, inside buildings and on scaffolds. Drill string and hammers to suit are also available.